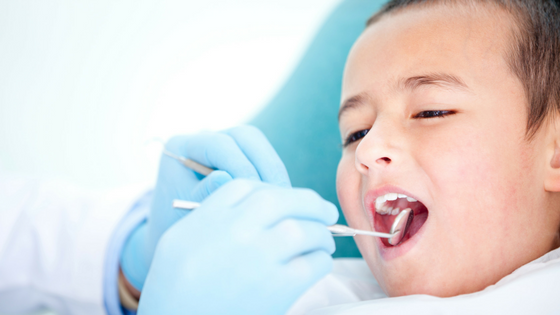 Many children experience varying levels of apprehension when it comes to visiting the dentist. Fortunately, there are a number of things parents can do to minimize anxious thoughts and help prepare their children for successful early visits. Perhaps you had a negative experience at the dentist when you were a child or are ill at ease when it comes to regular recare visits. It’s crucial to set those anxieties aside in order to set your child up for a successful first experience. It is often our first experiences that determine our perspective on all subsequent experiences and this is certainly true when it comes to dentistry. Maybe your child was young enough at their first visit that they don’t remember much or anything about it. Now, however, your child is a toddler and has a million questions! One thing to consider is scheduling a tour of our office beforehand. It will give your child something concrete to anticipate – your child can meet Dr. Elizabeth and Dr. Jeff as well as our team of assistants and hygienists that will be working with your child. This helps so there will be a familiar face at the next visit. It will also give your child an opportunity to role play a bit. They can go for a ride in the dentist’s chair and see a lot of the dental equipment which may help answer questions and calm pre-visit nerves. 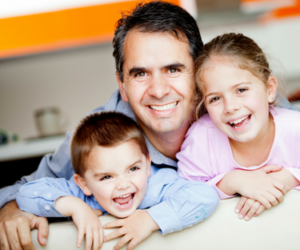 Talk with your kids in an age-appropriate way about why it’s important that we take care of our teeth and how the dentists at Eggert Family Dentistry help us do that. It might also be helpful to talk with your child about what will happen at the upcoming visit. If Dr. Elizabeth or Dr. Jeff is going to count their teeth, your child might enjoy practicing counting his or her teeth with you in the mirror at home. Keep it fun and positive! Again, role playing is a great way to put a child at ease about something new. There are a multitude of resources available that help prepare a child for a visit to the dentist. Look for books on the subject at your local library. Search for apps, shows and songs that help familiarize your child with the subject. Browse our patient resource page which includes a download on how to have a successful dental visit with your child. You have an important role in your child’s dental health and can help lay a solid foundation for lifelong dental wellness. We would love to partner with you in making this process a success! Call Eggert Family Dentistry today to schedule an appointment!